Goooood morning, sunshine! Yes, I'm calling you sunshine. I hope you're ok with that. It's just that with autumn creeping near and chilly mornings upon us I think we all need a little extra love. I don't know about you, but when I wake up and the air is chilly all I want to do is shut off my alarm, pull the covers over my head, and wait till the world warms up. I should have been born a bear so I could eat all summer and sleep/ hide away from the cold all winter. Doesn't that sound perfect? I'm not going to lie, it was dreaming about this warm bowl of apple pumpkin oatmeal that coaxed me out of my toasty warm bed this morning. That and the fact that I get to share this bowl of deliciousness with you. It is a bit odd since normally I'm not a fan of oatmeal. It's just too bland, boring (yawn) and mushy for my taste. If you feel the same, don't run away from me yet. Pumpkin oatmeal is totally where it's at. ??? I'm about 100% sure that this pumpkin oatmeal is going to be my #1 reason for getting out of bed from now until spring. It's a damn good thing that it's easy enough to make while I'm waiting for coffee to brew and quick enough to make that I can press snooze a time or twenty. I think we should both make a pound of the maple pecans to have on hand for those mornings when twenty snoozes just aren't enough. If you have the pecans ready to go, you can whip this up in just 5 minutes. Pumpkin oatmeal just might turn me into a morning person yet. Gasp! 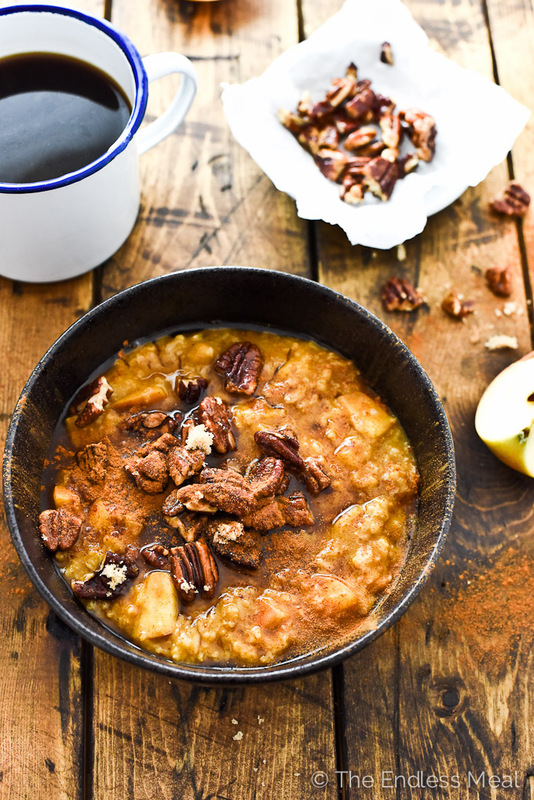 If you make this Apple Pumpkin Oatmeal make sure you snap a pic and tag @theendlessmeal on Instagram so I can like and comment on your photos. I love seeing TEM recipes you guys create! 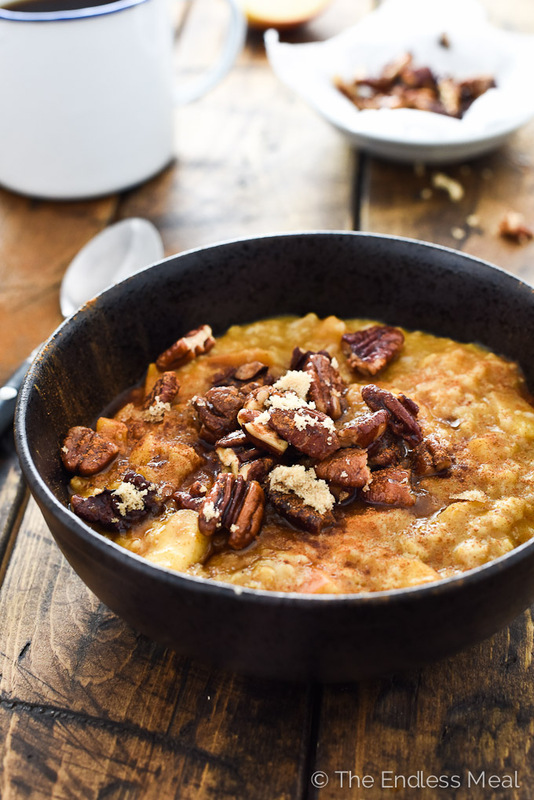 This easy to make and healthy pumpkin oatmeal is dotted with apples and topped with sweet and crunchy pecans. It's the perfect autumn breakfast! Turn your oven to 425 degrees. Line a small baking dish with parchment paper and add the pecans to the dish. Toast the pecans in your oven for 5 minutes. Note: you don't have to wait for your oven to finish preheating. When the pecans are lightly browned, take them out of the oven and toss them with the maple syrup, butter and sea salt. Put them back in the oven for 2-3 minutes, keeping a close eye on them so they don't burn. While the pecans are in the oven, begin cooking the oatmeal. In a small pot over medium-high heat add the rolled oats, 3 cups of water and the diced apple and bring it to a boil. Let it cook, stirring occasionally until it thickens, about 5 minutes. Remove the pot from the heat and stir in the pumpkin and cinnamon. 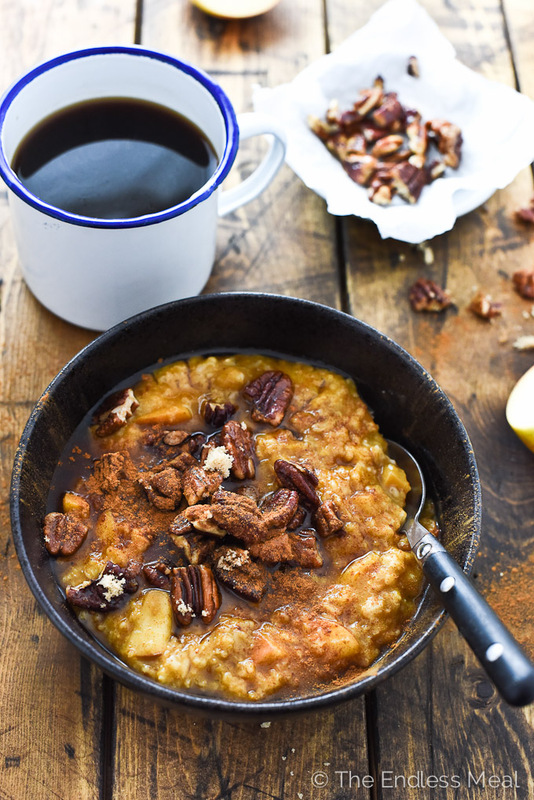 Serve the pumpkin oatmeal topped with the maple pecan crumble. You can substitute plain canned pumpkin for the pumpkin pie mix, but you'll want to add a little more cinnamon, some allspice, nutmeg and a small splash of maple syrup. Wow, and I thought oatmeal was boring! I can’t wait to try this, it takes oatmeal to a totally different level. That may be breakfast tomorrow?. By the way, one of your brussels sprouts recipes was at Christmas dinner. That’s so awesome to hear! Happy new year!! This looks so delish, but I’m not a fan of pumpkin (I know, gasp!) Do you think I could use sweet potato as a comparable substitute? Thanks! I haven’t tried it with sweet potato, but it’s definitely worth a shot. I honestly find them quite similar so I bet it would totally work! 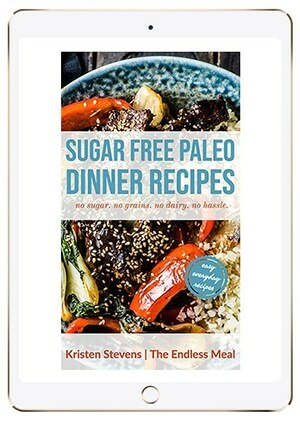 Kristen, this looks like the oatmeal of my dreams! I love porridge and I love pumpkin spice everything. Why hasn’t this happened in my kitchen yet?! <3 🙂 Lovely recipe! Oh my, Kristen. You can call me whatever you want so long as I have this in the morning! I love, love, love this recipe! Welcome fall and all of its warm spiced dishes. Pinning, Yumming, making! Ha ha I love it!! Thanks for the pin!! 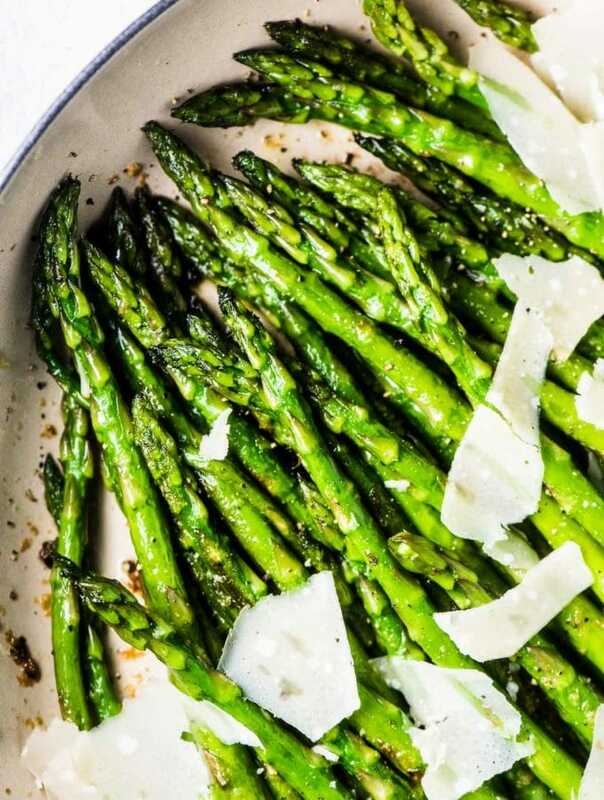 OMG these photos are making my mouth water! I am totally excited about FALL! I actually love oatmeal, in all forms — even plain! But make it fancy like this, and I REALLLLLY love it. The perfect fall breakfast! 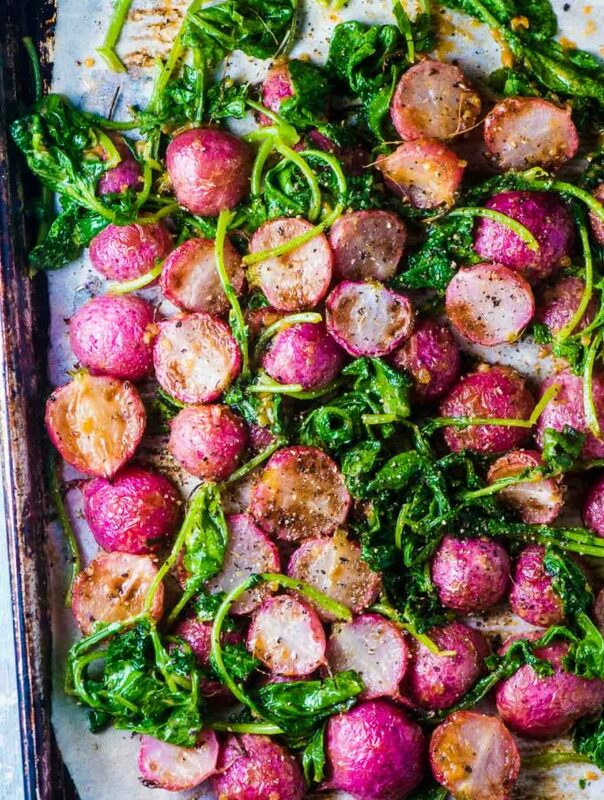 This looks absolutely DIVINE, Kristen! I just posted a recipe for baked pumpkin spice oatmeal and was going to do an adaptation of it into a simple bowl, but you beat me to it! I love all that runny maple syrup, pecans, and gorgeous orange color that’s so quintessentially fall! Pinned! Great minds think alike! I’ve never thought of baking oatmeal before … I’m going to check out your recipe! I love it when oatmeal season comes round again – no more cold cereal for me 😉 this looks yummy, love that nutty topping! This does sounds like a good way to get started after waking up to a chilly morning. You don’t like oatmeal, Kristen? I’ll never stop by this blog again, haha:) This is pretty great stuff you’ve got here. 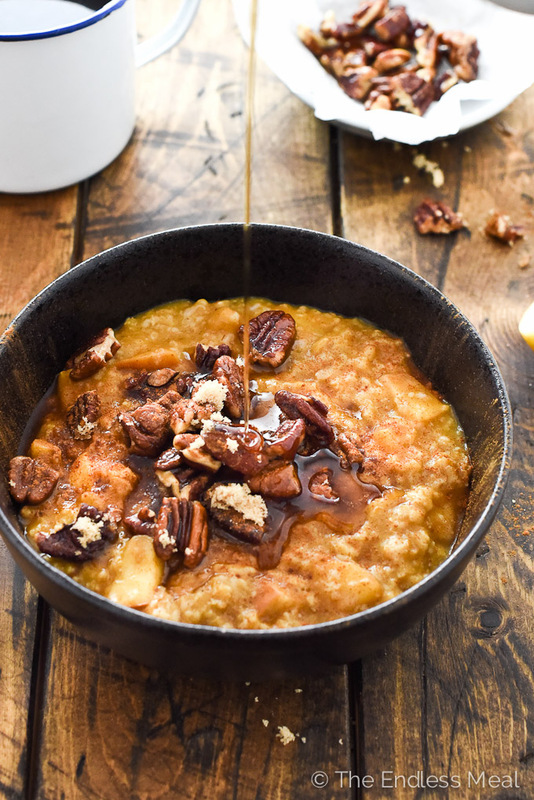 I’ve never incorporated pumpkin in oatmeal, and that sounds fantastic! Perhaps I should make a baked version of this deliciousness! Well done, indeed. A baked version sounds delicious. You should totally do it! O…you just combined all the greatest things of Fall! I would wake-up to this EVERY DAY! So delicious dear!